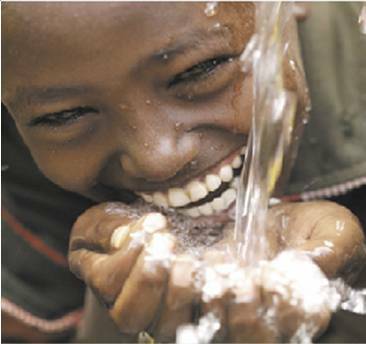 Welcome to the website of water aid matters in Africa, previously known as Pipe Dreams. please feel free to browse the site and find out more about us and what we do. Water aid matters in Africa - An organisation that works to install wells in Tanzania Africa so that people there have access to safe clean drinking water. You can help with these programmes, whether it be through a kind donation or a gift of your time. Water Aid Matters also welcomes you to Tanzania in East Africa for a cultural experience you wont forget. We offer safaris to the willing adventurers, volunteer placements in Tanzania, these include teaching and carer positions in orphanages and the opportunity to summit Kilimanjaro- the highest mountain in Africa. Water Aid Matters is a registered UK charity. That means if you choose to go though this charity to do any of these activities, you will be helping to fund our water projects with no extra cost to yourself. We offer safaris to the willing adventurers who wish to use their time to volunteer and have a holiday at the same time. Touring remote parts of Africa and helping the communities have been life changing experiences for many keen travellers. We feel this is the best way of donating to this worthy charity, everybody benefits from it ! You get to see the sites, have the satisfaction of helping less fortunate people whilst staying within their communities. Donate via Just Giving, or by using the below PayPal donate button.